Perhaps one of the greatest challenges routinely faced by entrepreneurs and small business owners is managing cash flow effectively, which is why so many turn to business credit cards. These cards can help you alleviate some of the stress associated with keeping your company afloat. Business credit cards give you a comfortable margin for managing everyday expenses and big purchases alike. Before signing up for a new card, you will want to understand the various conditions that accompany the card’s use. Keeping the following keys in mind will ensure you start your hunt off in the right direction. 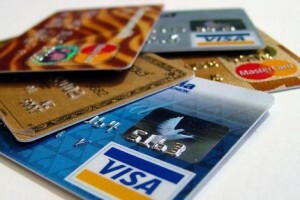 Credit cards allow you to either carry a balance or pay off purchases in full each month. If you opt to pay as the funds become available, you will need to choose a card that carries a relatively low annual percentage rate, or APR. Most cards offer introductory offers that are quite low, but the APR may soar after six months or a year. Pay close attention to the terms and conditions when signing a credit card contract, to ensure you understand how the financing charges fluctuate over time. Many business cards also carry annual fees, which can add up over time. Choosing a free card will help keep your costs low. One of the major benefits of using a business credit card is that these financial tools often accumulate rewards. Rewards points can be used for purchases like airline tickets, office supplies and much more. Certain rewards programs will reward you for everyday purchases, while others offer point bonuses on specific purchases. When you consider various credit cards, pay close attention to the rewards options available and work to determine which program best meets your needs. For example, if you travel regularly, picking a card that offers free hotel stays may be a savvy financial move. According to the Small Business Administration, many business owners open a credit card account without first determining how the card will be used. This can lead to problems down the road, as the balance skyrockets out of control and fees rack up. You can easily keep this scenario from taking place by taking a close look at your finances before applying for a business card. Furthermore, CreditCards.com recommends taking a close look at cards that have no maximum, which can help further extend your buying power. Business credit cards are a useful tool that can often mean the difference between meeting your financial obligations and falling into the red. Before you start using your card, spend some time drafting up a financial plan, which will outline your strategy for paying off your balance on time. This should help you respect your limits and keep your spending manageable. By investing the time to make smart financial decisions and carefully researching the huge myriad of different cards available, you can ensure you choose the right business card the first time around.